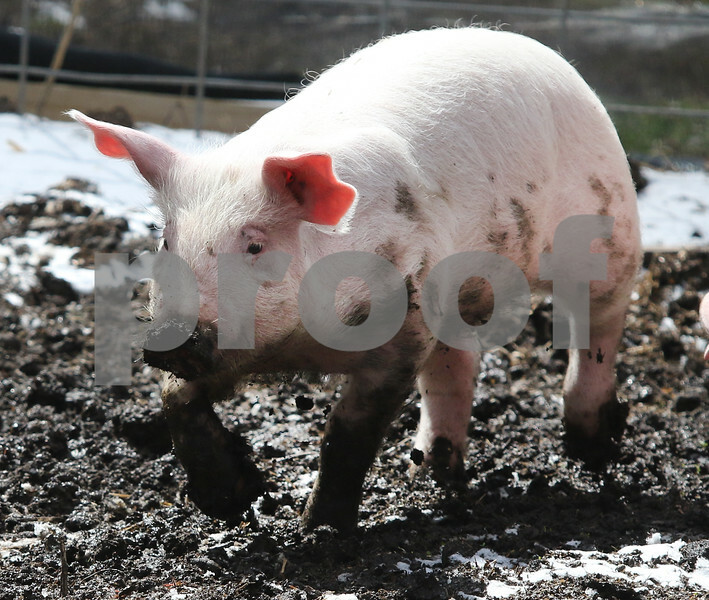 A pig runs around outside the building it is housed in after being rescued from a fire Wednesday behind Sycamore High School. The barn is used by students in the Future Farmers of America program at the school. Damage was minimal and no humans or animals were injured in the blaze.